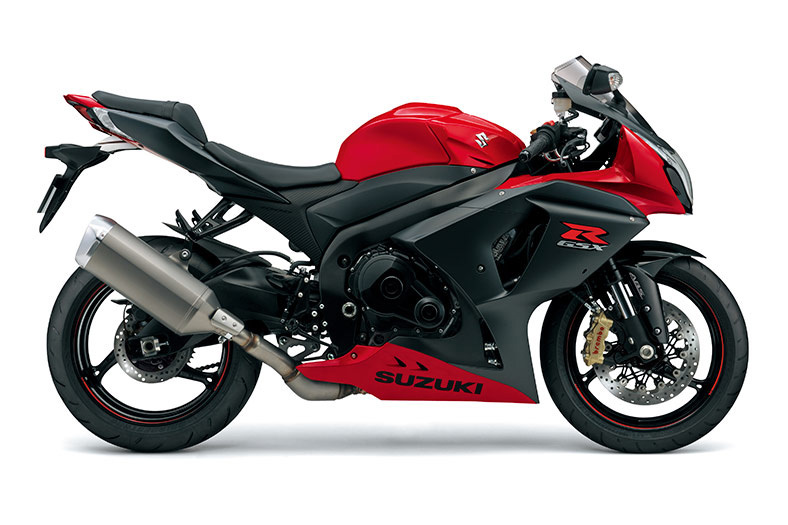 A standard feature on the GSX-R1000 ABS, this system enhances braking performance. The system monitors wheel speeds to match stopping power to available traction, helping to prevent wheels from locking up under hard braking or due to changes in road conditions. Throttle response and mid-range engine output have been boosted through the use of lighter pistons, lighter tappets and more aggressive valve lift curves. Delivers greater drive and acceleration for faster lap times. Top of the line Brembo calipers are lighter and more rigid to provide more powerful and consistent braking performance. Reduced unsprung weight provides even better suspension performance. Quicker reacting with improved damping and more controlled compression under hard braking. Enhanced grip and rider feedback with more controlled weight transfer for a better turn-in. Allows the rider to tailor the suspension performance to their riding style and the roads and tracks they ride. Improves rear tyre grip and stability when approaching bends by reducing the pressure on the clutch pack under hard deceleration. Allows you to ride in the position that suits you best, providing greater comfort, control and reduces fatigue.